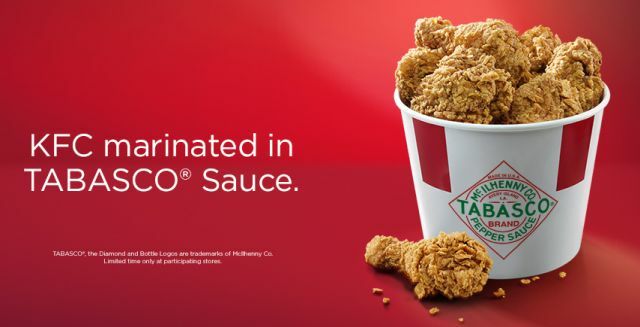 Fans of Tabasco sauce and fried chicken might want to consider booking a trip down under (Australia) where KFC recently introduced new "KFC Marinated in Tabasco Sauce." The bone-in chicken is marinated in Tabasco sauce for a minimum of 24 hours and comes with an extra crispy shell of breading. For an extra dose of heat, packets of Tabasco sauce are available. 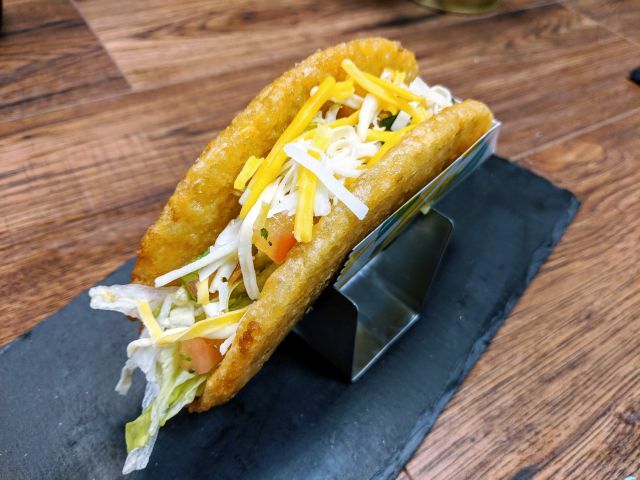 The new chicken is available for a limited time through May 15, 2017.